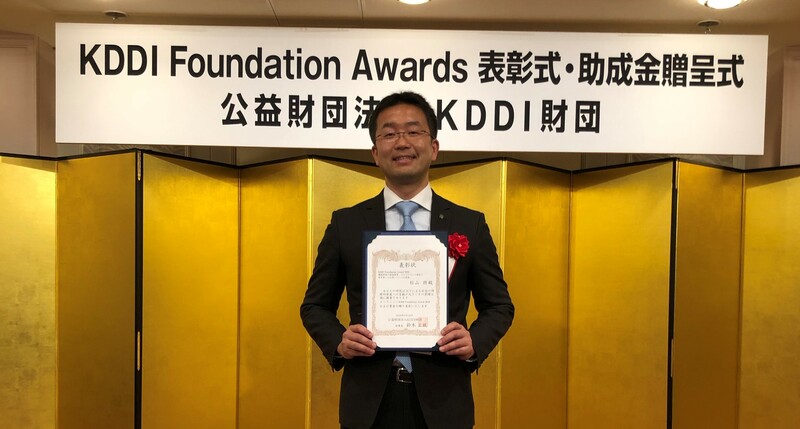 Director Masashi Sugiyama recieved KDDI Foundation Awards 2018. The award ceremony was held in Tokyo on March 18, 2019. The KDDI Foundation contributes to harmonious development of the world by awarding grants in a wide range of areas related to telecommunications.